"God doesn’t call us to be successful; He calls us to be significant." The youth are our future, we must ensure that our future stays bright. Juedon Kebede is the founder of Creative Scholars Academy in Memphis, TN, a daycare and Pre-Kindergarten program servicing 400 students. 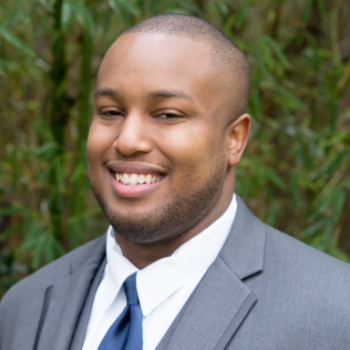 Juedon previously was a founding teacher at KIPP Preparatory Elementary and coaches youth basketball and football at KIPP and Aspire Elementary. He has also worked with numerous high schoolers from Austin, TX, Boulder, CO, and Memphis, TN through mentorship programs and cross examination debate training. Juedon has an undying passion for youth, understanding that the youth are our future and one must make sure our future is bright. He has delivered keynotes at graduations and has delivered multiple workshops for parents, teachers, and students around self confidence and finding your WHY. Serving in the inner city of Memphis, Juedon has the opportunity to bring Zig Ziglar's message of hope and resiliency to a city where it feels absent at times.